Lena Skvagerson is lead designer for Annie's exclusive pattern collection, Annie's Signature Designs. Lena is also producer and one of the hosts of Annie's popular TV show Knit and Crochet Now! Lena was born and raised in Sweden. 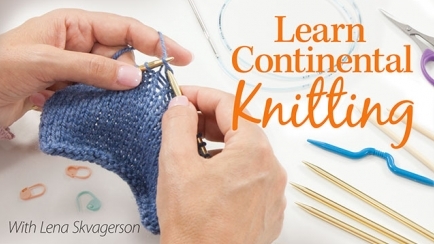 She learned to crochet and knit at age 5, made her first sweater by the time she turned 15, and created her first knitwear collection at age 17! Lena worked for a Scandinavian yarn and design company for 25 years. She moved to the United States in 2007 and in 2014 she joined Annie's full-time. See more of her work at AnniesSignatureDesigns.com and AnniesOnlineClasses.com. 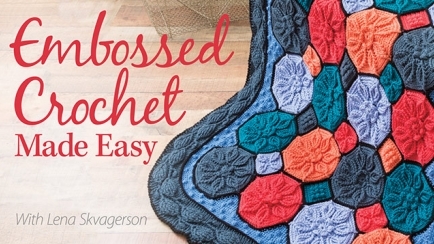 Join crochet expert Lena Skvagerson and learn to make the amazing Sunset Glow Embossed Afghan with surprisingly easy techniques! 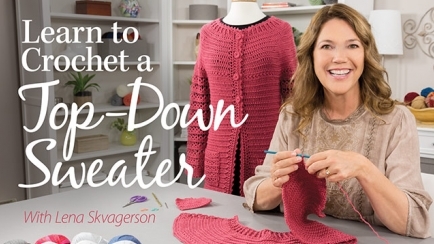 Let crochet expert and designer Lena Skvagerson take you step-by-step through the process of completing a beautiful top-down cardigan! 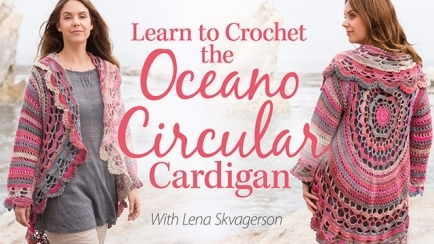 Join crochet design expert Lena Skvagerson and learn to create a beautiful circular cardigan that you can dress up or down!